Amazed at how quickly this item arrived from the moment of order. 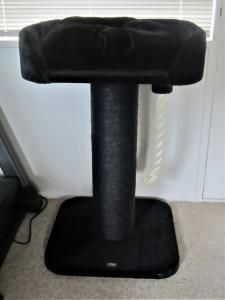 Our Scottish Fold loves this large scratch post sitting on top in comfort. Very sturdy well made. It would have been nice if it came in a choice of colors as black does show up the hairs from a cat.